Botox, Laser, Kybella, Fillers, or Surgery by Dr. Erb may help. Lasers, Facials, Skin products, Pharmaceutical Creams by Dr. Erb may help. Dr. Erb specializes in surgical and non-surgical procedures that help to make the eyelids and face look more refreshed and youthful. I went to Dr. Erb a couple years ago for a double eyelid lift; my eyes had begun to droop from wearing contacts. She was wonderful. She was personable, professional, and knew what she was doing. I felt taken care of and informed throughout the entire experience, and would highly recommend her! Dr. Erb was professional and kind. On my first visit she listened carefully to my preferences and concerns and tailored her approach to them. My Botox injections were entirely painless. Unlike other doctors, Dr. Erb takes the time to fully numb the area with a skin cream. The Botox effect is positive but subtle, making me look rested and youthful but not plastic-y or unnatural. I have referred all my friends to Dr. Erb and remain a loyal customer. Dr. Erb is really caring and thorough. 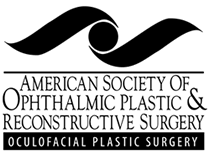 I had blepharoplasty. The procedure and aftercare were really easy and pain-free! As a woman in my 50s I began to notice my face did not reflect my youthful energetic stamina. The botox treatment and laser skin resurfacing performed by Dr. Erb did the trick–I felt and looked energetic ! Dr. Erb not only skillfully removed a growth from my eyelid and tested it to determine it was benign, but there is now no visible evidence at all that it was ever there. Her attention to my comfort was among the best of any doctor I have ever encountered. I cannot recommend Dr. Erb more highly. I would gladly return to her for care in the future. A couple of years ago I went to Dr. Erb for upper and lower eyelid surgery. She meticulously examined my eyes and then explained to me the surgical procedure. I found her to be warm and down to earth which immediately reduced my anxiety. The results were amazing; I have a completely natural look so no one knows I had “work” done on my face. I know this means that she has a keen attention to detail. Since then, I go regularly for botox injections to mitigate the look of my “frownies”. She gives me lots of pain cream first before she does the shots. I haven’t had a laser treatment yet but I look forward to having that done soon. I highly recommend Dr. Erb.